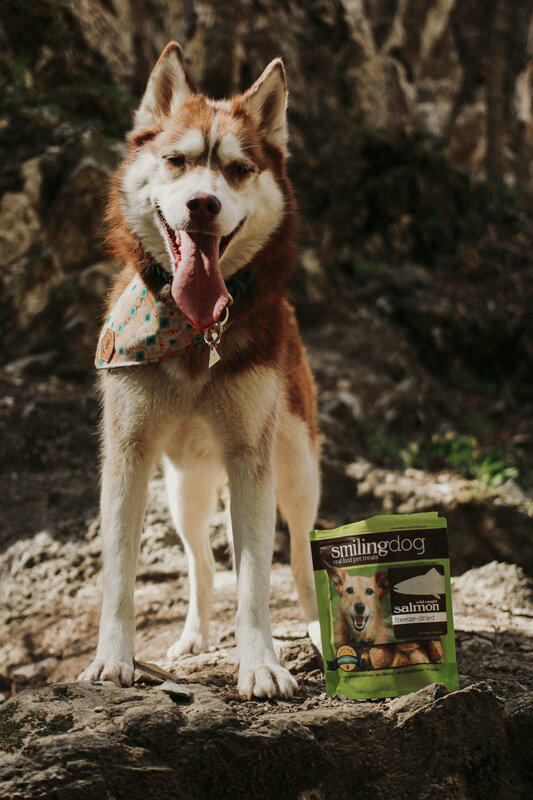 a few weeks ago we were sent some dog treats by @herbsmithinc called smiling dog treats! Aleu and Kyra are very prey and food driven, with that being said, there are some treats that they like more than others and I put it on their lives that when I opened the salmon treats, the girls went nuts. Full on drool, wide eye, crazy mode. While I was not too fond of the smell, the fact that the girls enjoyed them so much, and they are a healthy treat choice, make them a first choice for us. Now as I've said before, with having my girls on a strict diet, I do allow some "cheat treats" however, these are definitely not that kind of treat. Herbsmithinc was founded and operated by a holistic veterinarian and they are committed to inspiring a lifetime of health and wellness to our beloved pets through their holistic supplements.